The Bandit has gone 10-7. Thanks for some laughs along the way. 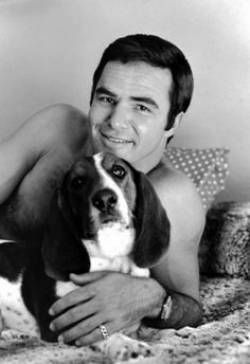 In telling of posing for a Cosmo centerfold, Burt Reynolds said, "It was really stupid." Stupid is as stupid does, some say. I don't remember him in any great movies even though his career spanned much of the time when America was great. I liked Any Which Way But Loose and its sequels better, as a matter of fact. Longest Yawn is overrated. Deliverance was OK. BURT BRONSON couldn't have played Reynolds' character much better. 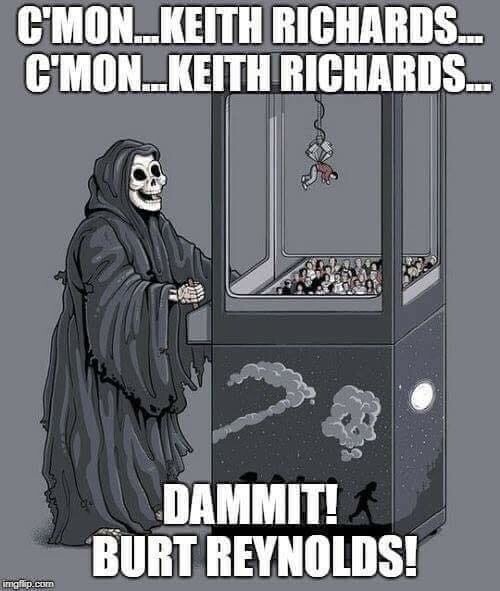 My favorite Burt Reynolds Tribute. Freaking awesome version of this song. The horns! Listen to the whole thing, but skip to 2:15 and turn it way up if you must. My brother-in-law did work for him at his house in L.A., said he was a very good guy. My other bro-I-L worked with him in the film business and had the same opinion. 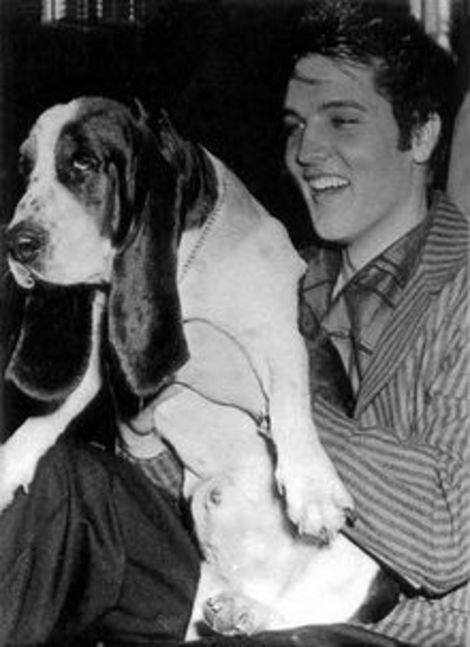 Loved his dog every bit as much as Elvis did,. I loved both of them in this flick. 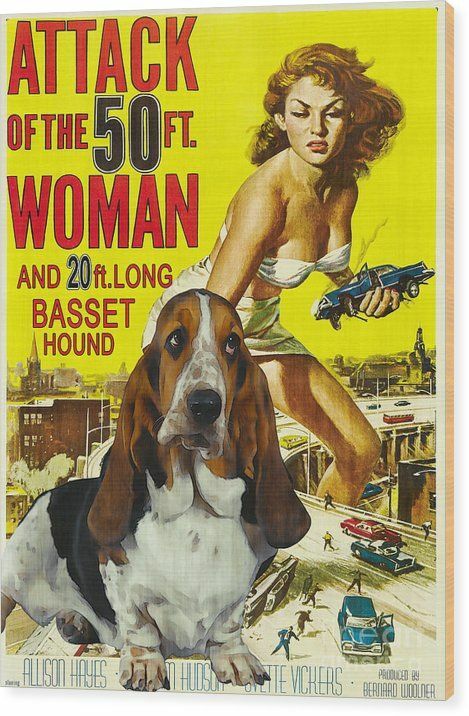 His dog did both of them? Smokey and the Bandit. That Trans Am with the bird on the hood and T-tops was ..........................AWESOME! The dude could act, within his comfort range and, as they like to say, the camera loved him. He had a presence, too. And he could laugh at himself,which for me is the highest kudo. Bet he woulda been great to have a beer, or nine, with. Who remembers him in Gunsmoke? Or when his adult film career took off! Thinking that's how he linked up with Lonnie.....what a pair!! Saw Burt in a Gunsmoke rerun a few years back and recognized him. I had no idea who he was when the originals ran. As to the dog, I think it was Columbo's doing all the doing. Time to put the flags at half-stache in remembrance. Tried to watch "Gator" again in memory of Burt.